The neutral former president is worried about multiple court challenges against provincial and regional conferences, and warns the ANC it will occupy opposition benches in 2019. Former president Kgalema Motlanthe will not be attending the ruling party’s elective conference in December, as he fears the party’s internal democracy will be violated. 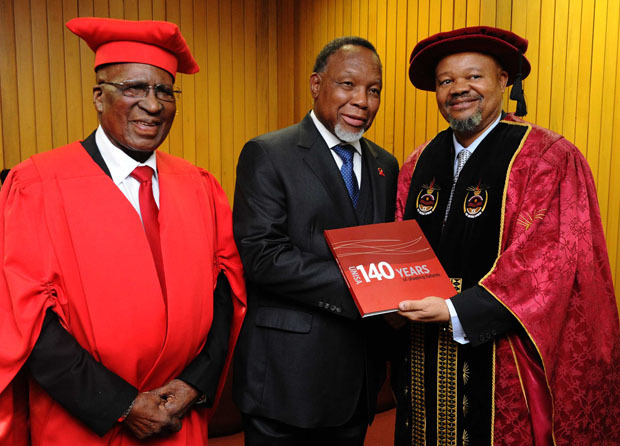 According to the Business Day, Motlanthe revealed this on the sidelines of a lecture he gave last Friday at the University of Stellenbosch Business School. The former secretary-general and ex-deputy president of the African National Congress (ANC) is reported to have said branches should take the lead at the conference, followed by various leagues. He specified “bogus branches and bogus members” as the main reason the conference would fail to secure a “faultless process”. “Once all of those processes and requirements are disregarded and delegates to conference are not elected by members, but handpicked by leaders on the basis of perceived support, it defeats the purposes of the majority of delegates being delegates from branches,” Motlanthe is quoted as saying. It is reported that due to his distrust in the process through which the conference will elect its leadership, he will consequently not be endorsing any candidates to the party’s top post. “Because the processes are flawed, it’s really pointless to even hope that the outcomes of such flawed processes would be reflective of the collective views of the membership. It can produce any outcome, so it would be difficult to attach or invest in any hope in the process,” he reportedly said. 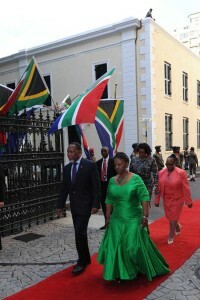 Deputy President Kgalema Motlanthe with Ms Nomaindia Mfeko, Deputy Speaker of Parliament’s National Assembly accompanied by his partner Ms Gugu Mtshali. Picture: GCIS. He is reported as having told the media that continuing to refer to the ANC, the South African Communist Party (SACP) and Congress of South African Trade Unions (Cosatu) as an alliance was a “misnomer”, as there was no independence among the organisations and an increasing lack of consultation. He is also said to have cited the increasing court challenges against provincial and regional conference at court as worrying, and said the ANC ran a huge risk of occupying the opposition benches in parliament if it failed to regain voter and investor confidence before 2019 elections. In his address, he urged “every leader must be held accountable, every citizen has a role to play as well as a responsibility to honour the principles and value of democracy”.